Socialists today don't have to reinvent the wheel — we can learn from the successes and failures of past American radicals, including the New Communist Movement. With the popularity of politicians like Bernie Sanders and Alexandria Ocasio-Cortez and the explosion in membership in the Democratic Socialists of America (DSA), socialism is suddenly central to the national political conversation. And it’s happening in the United States. Despite being a country long argued to be uniquely allergic to all talk of class conflict and any alternative to capitalism, here we are, watching many Americans question whether we should remake our political and economic systems from top to bottom. But this isn’t the first time mass numbers of people in the United States have considered socialism. It also happened half a century ago, when the New Left raised questions about capitalism, imperialism, racism, sexism, and much more. At the end of the 1960s, those questions were taken up by the New Communist Movement (NCM), a collection of groups in the Marxist-Leninist tradition. While the movement was made up of organizations that had different answers to burning political questions, on the whole, these groups were inspired by the left-nationalist projects of the day, including domestic movements like the Black Panthers and Puerto Rican nationalist groups, and international communist movements in Cuba, Vietnam, and especially China. Max Elbaum was deeply involved in that movement. After joining Students for a Democratic Society (SDS) as a college student in Madison, Wisconsin, Elbaum co-founded the NCM group Line of March. He ended up devoting his life to various movements against war and racism and served as the editor of the leftist magazine CrossRoads throughout the 1990s. Elbaum is the author of Revolution in the Air: Sixties Radicals Turn to Lenin, Che, and Mao, reissued in April by Verso Books with a new foreword by Alicia Garza, co-founder of Black Lives Matter. Though he was a participant in some of the organizations and campaigns and the overall movement that he chronicles in the book, Revolution in the Air takes a more dispassionate look at the NCM, fairly weighing its achievements and missteps. It’s hard to come away from reading Elbaum’s book without thinking that the movement had far more missteps than achievements. As we explore in our conversation below, the movement’s orientation towards what was then called “Third-World Marxism” and left nationalism gave it some redeeming characteristics, like its steadfast commitment to anti-racism and creating a multiracial movement. But it also quickly became a movement rife with undemocratic behavior, obsessed with doctrinal purity, and oriented towards regimes like China that radicals later realized were far from successful democratic, socialist societies. This is a history that’s worth excavating in its own right, given how significant the NCM was at the tail end of the New Left. But it is also history that radicals today would do well to wrestle with. Socialists in the twenty-first century don’t have to completely reinvent the wheel — they can learn from the often-heroic efforts of radicals several decades ago. Revolution in the Air is essential reading for the new generation of radicals that wants to get anti-capitalism right this time, avoiding the same sectarian, undemocratic mistakes that the past generation of Marxist-Leninists did. I recently interviewed Elbaum about his book. Our conversation focused on the history of the NCM and — especially — what it can teach members of the DSA. Let’s start with the basics. What was the NCM? The NCM was an effort by several thousand people to revitalize communism, during a period when traditional communism had been stagnant. It evolved out of the radical movements of the 1960s and had some momentum on the left from the late 1960s into the 1970s. At that point, it was the predominant trend within the Left. It had the highest proportion of people of color and some influential political initiative. It ran into difficulties into the mid- to late 1970s. Some parts carried on into the 1980s but it was finished as a coherent force by the late 1980s. What was meant by “communism”? The movement arose at a time when Third World revolutions were shaking the empire, and when several of the leading organizations within those revolutions identified with Marxism-Leninism — versions of it that were not strictly within the ideological niche of the Soviet Union, particularly the Chinese Communist Party and the Cubans. The NCM identified with those movements politically and ideologically and defined itself as building a genuinely revolutionary party as opposed to what it saw as “reformism” or “revisionism” of the Communist Party USA. The idea was to build a new revolutionary vanguard on the basis of a more orthodox, left version of Marxism-Leninism, one especially inspired by the liberation movements then existing throughout what we called the Third World. Why was the NCM so ascendant in the post-New Left? It attracted a plurality of people who turned to revolutionary politics — not necessarily a majority, but a plurality. 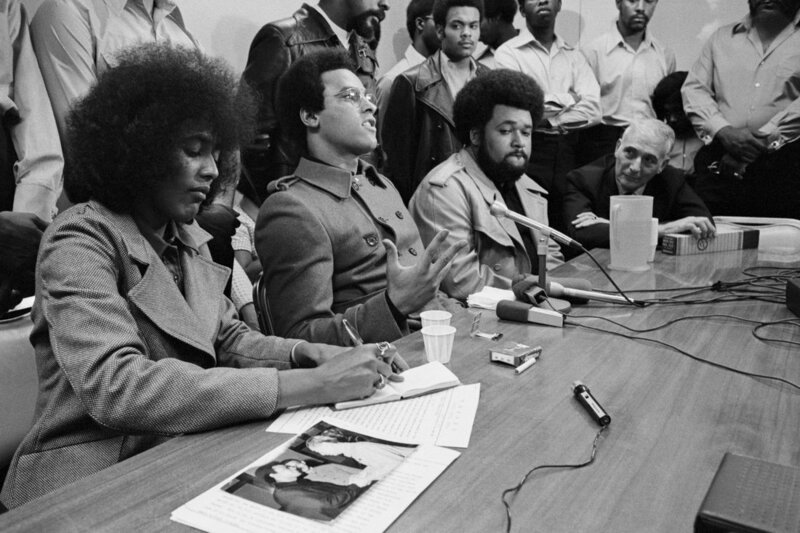 It was particularly strong in freedom movements from communities of color among those who turned to revolutionary politics. People who went into it had an extremely strong commitment to revolutionary politics and made sustained efforts to sink roots in the working class and oppressed communities. The largest left newspaper of the time, the Guardian, embraced these politics. It was a time when the Chinese, Vietnamese, and Cuban Communist parties and other left-led national liberation movements had very high prestige, and this movement identified with those forces. All of this gave the movement initiative. Your book isn’t really a defense of the NCM. Most of it is quite critical. But you also repeatedly point out some of the positive features of that movement. Can you briefly sketch out the good and the bad from those movements? For my part, on the positive side, the movement did see how central empire-building and racism were to US capitalism. There was a strong commitment to sinking roots in those communities that had the greatest potential to make radical change. The movement grasped the importance of collective action and the idea of people prioritizing political activity and advancing it in a collective way. The movement did make some headway in breaking out of a US-centric view of the world. And there was an attempt to learn from and offer ideas to revolutionaries in other countries, and a strong sense of internationalism. In its early years, certain component parts did some interesting work on US politics, especially on the particular role of the special oppression of communities of color. On the negative side, all sides of the movement were afflicted with a mis-assessment of the conditions in the country, especially the resilience of capitalism. Lots of people were off-base in the late 1960s and 1970s, but the movement couldn’t adjust when it became clear that the motion of national politics was moving to the right. The ideological frameworks of the different component parts of the movement were rigid in their quest for orthodoxy — seeing Marxism-Leninism as a kind of omniscient science. Those ideological frameworks were off-base. The movement was generally afflicted by ultra-left tendencies and a tendency to polarize forces that weren’t, in their view, as revolutionary as them. The model of organization the movement implemented was “miniaturized Leninism”; we essentially built small sects instead of flexible, mass revolutionary groups. This was related to our mis-assessment of the historical conditions. There was a proliferation of sectarian attitudes over political differences, some of which were important, but many weren’t. What was the orientation towards supposedly revolutionary states like China and the Chinese Communist Party? The movement had different component parts on that question, but it tended to overestimate both the strengths and the potential for building a new society of the countries that had had revolutions in the underdeveloped world. It was most pronounced in the sections of the movement that looked to China. In the late 1960s and early 1970s, there was a much broader layer of the Left beyond the NCM that was infatuated with China. The Cultural Revolution was presented to the world as a grassroots version of socialism, more democratic than what had taken place in the Soviet Union. In retrospect, that was very off-base. But important parts of the NCM fell into that trap. Other sections of the movement were more sympathetic to the Cubans or Vietnamese and had a somewhat more balanced view of the strengths and weaknesses than those who followed China. But even there, it was connected to the view of Marxism-Leninism that was dogmatic. The nature of these countries, especially on the issues of democracy, was off-base. Pretty much the whole NCM accepted the idea of the one-party state and command economy as models of socialism. Most of the Left now is in a much different place about the one-party state, and the question of the economics of socialism are up in the air. In the late 1960s and early 1970s, the NCM was the dominant radical leftist formation in the United States. Today, it’s the DSA. The obvious question one has in reading your book is what the lessons are for DSA. There are a few. One, you have to constantly assess and reassess the historical moment. What stage of the mass struggle are we at? What’s the potential for change at a given moment? How do you avoid thinking that we can make all kinds of gains that actually aren’t possible? On the other hand, how do you avoid making the opposite error and then falling into passivity and not pushing the envelope as far as it can be pushed? Another is, how do you build a movement that integrates struggles for racial and gender justice and the class struggle that gives due weight to those special oppressions? The NCM has some lessons, both positive and negative, in how you build a class movement that deals with the centrality of racism and how challenging it is to build a multiracial movement on that basis. There are also lessons about internationalism and avoiding the US-centric mentality, while at the same time not trying to emulate models from other countries that won’t work in the United States. There’re also some other issues about organization, collective work, trying to put political differences in a sense of proportion. That last one is always a challenge: how you figure out which differences of opinions are worth a serious struggle over, and which issues are secondary or tertiary. The NCM had a basic coherence around Marxism-Leninism. The DSA has nothing like that. There are probably a majority of members who claim no particular socialist tradition and just like Bernie Sanders and policies like Medicare for All. There are anarchists, there are Trotskyists, there are Marxist-Leninists. The ideological spread in DSA is quite wide. This poses a particular set of difficulties. Is there anything on this front that DSA can learn from the NCM? The NCM believed in building organizations on the basis of a common ideological framework, Marxism-Leninism. DSA is a whole different story. It’s united on a political program, socialism. You don’t have to adhere to a particular ideology to be in DSA. One of the lessons of NCM is that there are grave dangers in organizations formed on the basis of ideology. They tilt an organization in the direction of ideological purism, making everything consistent with an ideological tradition, giving undue authority to the top leadership which supposedly has mastered that ideology. You have a different set of problems when you’re united on a political program as opposed to an ideology. But groups uniting on an ideological basis leads to a lot of problems. In the NCM, it was a splitting difference over what your assessment of Stalin was. This isn’t productive. It stifles all kinds of internal debates. On the other hand, there were certain fights that the NCM had that were necessary to have. The biggest one was in the mid-1970s, when China shifted its foreign policy course to align with US imperialism against the Soviet Union, arguing that the Soviet Union was the more dangerous of the two superpowers. Who was the main danger in the world? That was a fight you had to have. The people who believed that the Soviet Union was the main enemy ended up supporting NATO, and opposing demands to cut the military budget, on the grounds that the US had to be part of a united front against the Soviet Union. You had to have that fight. All kinds of things about where you stood in all kinds of issues of the class struggle depended on what side you were on in that fight. To answer this question, let’s take the Poor People’s Campaign today. It’s a campaign against the three great evils that Dr Martin Luther King identified — poverty, racism and militarism — as well as fighting for the environment. If you think the US military is going to play an important progressive role in the world, you’re not going to take a stand in a campaign like this one against US militarism — in calling for cutting the military budget or opposing US intervention around the world. This issue cuts to the heart of all kinds of things — housing, health care, democratic rights, sexism, all of it. That makes sense. But of course, an organization like DSA can’t address every single issue all the time. An organization like DSA today has to think about which issues offer them a chance to directly impact society, as well how to organize today in a way that lays the groundwork for more advanced struggles tomorrow. Then, you have to think about how to get enough unity of action to make the organization a coherent force. That’s the framework you have to use. The majority of a democratic organization will choose a direction based on the key things that are needed in a given moment: health care reform, defeating the white-nationalist authoritarians running the government today. Some mix of direct-action activism and base-building and electoral campaigns is going to come out. The parameters can be a little wider or narrower based on the situation, but you have to have some parameters that the organization is operating within. Then there’s the matter of different tendencies or individuals that may not agree with those decisions. A healthy organization has to have boundaries within which people can raise their differences. If people within the group are moving in a way that’s undermining and preventing the organization from being able to establish its political identity and make an impact, then you have to do something to prevent that from happening. You’re not going to have everyone united. The Left won’t ever reach a point where everyone agrees on all the major points and all joins the same organization. The world is too complex for that. So, you have to have certain boundaries. You have to have majority rule that can allow the organization to move. There’s no formula for figuring out what exactly that looks like. Once a group sets up a healthy organizational culture, you can sort those things out. DSA is in a formative period. It’s a new organization. It has transformed. While it has a certain institutional continuity, there’s so many new things about the organization — most obviously that over 85 percent of the organization wasn’t in it two years ago. So, it’s establishing its new political culture. As far as I can tell, there have been some missteps, but there have also been some really positive things. Figuring out how to build this organization and what to work on and how to operate is extremely challenging, particularly given the current political moment. But DSA members also have to realize that what they are doing now is part of building a movement for the long haul. Everyone has to approach that with the most maturity and generosity of spirit possible. When I read that, I think of the critiques of mass campaigns like Medicare for All or for politicians like Bernie Sanders and Alexandria Ocasio-Cortez, which have shown that they can bring the idea of socialism to mass numbers of people who have never heard this term before. Some of those critiques are valid, like the worry that engaging too heavily in electoral politics will water down DSA’s radical politics to the point that the organization ceases to advance a bold socialist vision. But most of them seem more rooted in people clinging to that “pure” marginality — at a moment when socialism has an opportunity to become a truly mass movement. The opportunity to reach the “millions” that Lenin references is here, but orienting a leftist organization in that direction involves ditching some of the habits of glorifying marginality. I think the Bernie campaign, the insurgent campaigns, the way people are learning to speak to large numbers who are envisioning moving the country as a whole — all of that is extremely positive. Politics is a matter of looking at the balance of forces and where the masses are at and intervening in a way that moves the needle. We have to speak to the majority and build a majoritarian movement. We’re obviously a long way from a majority of the United States not just supporting fundamental change and an alternative to capitalism but taking steps and risks to make that happen. That’s not going to come about by offering only a maximalist program and trying to move in one leap from where we are now to that maximalist program. It’s certainly legitimate and necessary to realize there’s uneven development in society — you’re going to have an advanced guard, what Lenin called the “conscious element.” That’s the point of having a socialist organization where people are united on the long-range goal. But it works in different layers. It has its immediate base and its periphery, and it works in coalition with outside forces. So, I think that the purist tendencies, the ones that are critical of anything that is less than their total vision of what a revolutionary socialist program would be, are self-defeating. Because you never break out of the margins. The idea that you just plant the flag and everyone will come to you if you have the correct line has never worked. That’s not how politics works. Politics is addition — you need to get more people on your team. The Left has been marginal for a long time in the United States. For some people, that’s their comfort zone. When you mix it up in broad mass politics, there’s always a danger that you compromise some key principle and fall down a slippery slope. Those are real dangers. But every successful movement for radical reform or revolution has to engage in those broad mass politics. There’s no other way to build a majoritarian movement from where we are now to a majoritarian movement for socialism. Throughout the book, you criticize the “voluntarism” of the NCM, especially in Maoist groups. What is voluntarism, how did it play out in these groups, and why it was such a problem? Voluntarism was the notion that if you worked hard enough and had the correct line and the willpower, you could pretty much make anything happen. That kind of thinking was strong in the NCM for a few reasons. The young radicals of the 1960s had seen changes happen really fast; we didn’t appreciate all the structural and historical reasons why that explosive period came to be. We started to attribute those changes to our own actions more than the confluence of the conditions and what the broad masses were doing. Some of that ideology was reinforced by the revolutionary movements of the time, in particular the Chinese Communist Party. Mao had a slogan: “When the Party’s line is correct, then everything will come its way.” Which fostered the notion, of course, that if you were correct and worked really hard, everything would come your way. When you’re thinking that way and are in the midst of a mass flow, it does make you push yourself and can have some beneficial effects. It moved things forward in many important struggles. But as a long-term method of doing politics, it plays out in negative ways. When you’re in an ebb period rather than a flow period, it leads to a number of things. You tend to find scapegoats for why things aren’t working as well. Because you’re supposed to have a correct line, yet things aren’t working out like you want them to. So, the masses must be backwards, or the cadre aren’t working hard enough. If you get locked in that mentality, you can’t have a balanced assessment. It ends up undermining your ability to listen to people and to build a healthy democratic organization. Chapter six of your book is called “Elaborate Doctrine, Weak Class Anchor.” Can you explain this basic problem? If you don’t have a class anchor and a mass base of substantial size, you’re not accountable, you’re not grounded, and you’re not in a position to sense the changing moods among the key constituencies in society. And it’s also a recipe for splits and sectarianism: You are just floating. When you have a really large mass base, there’s consequences if organizations divide or have stupid fights. Because there are tens or hundreds of thousands or millions of people who are affected. And if you’re their political arm, you get checked. You need that connection to the base. Having a large, mass anchor is crucial. You can’t make social change without it. They’ve got the money, they’ve got the guns; we’ve got the majority. So, building that majority, from the massive rebellion of workers, is crucial. But getting a crash course in Marxism is a lot faster. That’s not really easy, either, but you can cobble together a fairly sophisticated idea of what socialism is fairly quickly if you’re reading and debating socialism. The NCM did have some roots in the working class, but it was weak relative to the intensity of the study. Everybody read. You’d have six-month courses on Marxism-Leninism, people would stay up till late at night debating ideas. This was good, but it was disproportionate in comparison with building the working-class base. You say in your book that for all the NCM did wrong, it is important to develop cadre. I think when a lot of people hear that term, “cadre,” they think of undemocratic organizations without a mass base, and they don’t want anything to do with this. Why is cadre development important? Because the NCM and other communist parties built organizations that were termed “cadre organizations” and were ideological monoliths and had anti-democratic practices, the term “cadre” has been associated with top-down, monolithic organizations where the members, the cadre, are cogs in a big machine. The rejection of that kind of organization is a good thing. A sect model will not realize our potential. But that’s not necessarily what cadre is. Every political project has cadre. Republicans, unions, white nationalists, socialists — everybody has cadre. The term just refers to people for whom moving the political project forward is a central feature of their life. They learn the skills and art of doing just that. They don’t devote themselves exclusively to political work — they have balanced lives, hopefully — but they learn the special skills of politics and how to use them. You can’t move a political project without people who are prepared to take it up that way. Some of them will be paid by the movement; others, the majority, are people who go to work and earn a living but play crucial roles in advancing the project. When you build a mass-base organization, it’s a mix. You have some people who have taken a cadre role, others who don’t. This is fluid. People might go back and forth between playing a cadre role or not. And then there are other people on the periphery, who are sympathizers or supporters from afar. Without developing a layer of people who are in the movement for the long haul, no radical project can succeed. Of course, the idea that they then make all the decisions in the organization and aren’t accountable — absolutely not. But you need cadre to move the project. I get the sense that many of the people who are flocking into DSA are thinking that way. For a number of reasons including sectarianism and the rightward drift of the country, the NCM eventually faded away. But it didn’t have to end up that way. What was the best-case scenario for the NCM? What’s the most they could’ve hoped for? If the NCM, as well as a number of other trends on the Left, could have realized during the serious 1974 recession and stirrings of the so-called “New Right” that a counterattack was coming from the Right, and been more aware that capitalism wasn’t going to fade away and we weren’t headed for the final conflict any time soon, it would have been possible to unite five, ten, fifteen thousand people in an organization that had a radical program integrating racial and gender justice, environmental justice, keeping labor as strong as possible, and build institutions that would keep socialism in the public conversation. That could have helped sustain a Rainbow Coalition-type form that could have spearheaded an insurgency both inside and outside the Democratic Party. If that kind of organization had managed to stay together, the growing pains of an organization like DSA might be less today. The history of the NCM is somewhat bleak, given how the movement ended up. But things do seem on the upswing now. Do you feel hopeful today? Yes, I’m hopeful. I’ve been on the Left for a long time. A lot of horrible things in the world have been done over my lifetime, and things are reaching a whole other level of damage under Trump. It will take a long time to undo that damage. That said, the scope of popular resistance to Trump in the United States, the energy in the progressive wing, and the number of people — especially young people — interested in socialism is extremely encouraging. If we can beat the white nationalists who are running this country right now in 2018 and 2020, and we can sustain the kind of mass action in the streets that we’ve seen through the teachers strikes and Black Lives Matter and all the other nonelectoral protests, the progressive movement (within which the socialist movement will play a key role) can gain some real power. Republished from In These Times . Max Elbaum was a member of Students for a Democratic Society and a leader of one of the main new communist movement organizations. He is the author of Revolution in the Air: Sixties Radicals Turn to Lenin, Mao and Che .